The loss of a great artist always cuts deep. 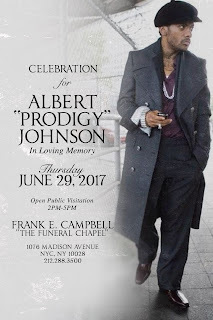 The passing of Prodigy, an MC nonpareil in the conveyance of tragedy and suffering, is all the more poignant, because in his absence the world recognizes the cold reality he illustrated so well, yet now there's no one left to vocalize it. A number of touching tributes have been written and mixed in the days since June 20: Cormega's, Mister Cee's, Knxledge's, and the list will surely continue to grow. To honor the legacy of Prodigy, Long Island Rap Blog reached out to artists who've been featured on this site before and asked them to share their favorite Prodigy or Mobb Deep tracks. Not surprisingly, many found the task of narrowing down their list impossible. Hus Kingpin, of LA by way of Hempstead, said, "Too many favs to choose just one." Elucid, of NYC by way of Deer Park, said, "My favorite Prodigy verses never ended up on records! Tony Touch/Clue tapes had the jewels ... Anything on Hell on Earth though kicko." Others simply didn't respond. 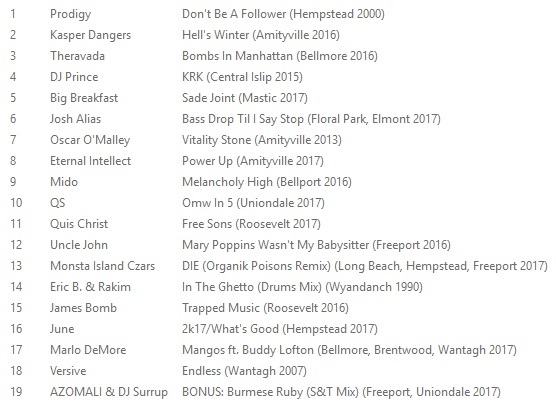 From those who did, we've compiled a 10-song playlist documenting some of Long Island's favorite Prodigy recordings. These include solo cuts and Mobb Deep classics, as well as features that are sure to become the stuff of legend as Prodigy held his own alongside some of the all-time greats (namely Nas, Ghostface, Raekwon and Rakim). Peace to Prodigy, his friends and family. Our thoughts are with them.